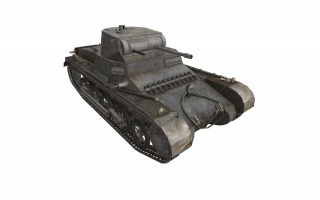 The Pz.Kpfw. I is a German tier 2 light tank. El Pz. I Ausf. A fue el primer carro alemán producido en masa. En 1935 el diseño recibió una mejora incluyendo un chasis alargado y un motor más potente. La producción en masa de esta versión, el Pz. I Ausf. B, totalizó 675 carros. El armamento estándar era débil, pero durante la guerra civil española algunos carros fueron adaptados en el campo de batalla para montar cañones de 20-mm. 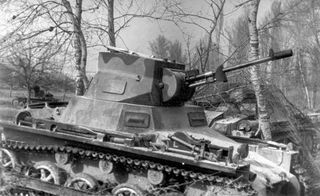 The Pz.Kpfw. I leads to the Pz.Kpfw. I Ausf. C.
Armor is not bouncy to lower tier guns and most autocannons and so to make up for it some angling can be used if stuck out in the open with no other choice but absorbing damage. However it rarely works so try not to be caught in the open in this tank. The tank is best used behind cover and popping out occasionally to get shots off at a distracted enemy. The tank also has enough mobility to relocate at a reasonable rate, but give it enough time to accelerate as it lacks horsepower. The guns are subpar for even tier 1 but with proper usage can be devastating. 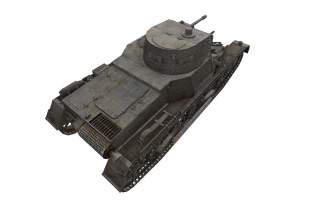 The Breda is advised due to the fact that most high threat tier 2 tanks have armor that is completely immune to the KwK 38's 23mm nominal pen, most notably the tank's rival, the Panzer II even from the sides. The Breda, while having a very long firing time (but better DPM), lower accuracy at range, is still better due to the extra 7mm of penetration. 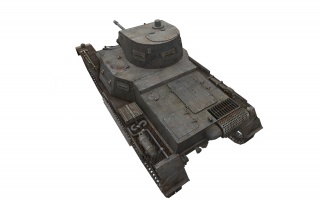 It is recommended to stick to close ranges and target flanks of well armored tanks, as 30mm of pen will go through anything but a H35 (the one tank to avoid at all costs unless using APCR). Basically choose the Breda for general usage, and only take the KwK if you know how to use it to its strengths (better at peek-a-booing due to rapid fire, better accuracy especially on the move, but has terrible penetration especially at this tier). Overall, while this tank is inferior to most tier II tanks, it can really do some damage. Stick to cover, and use peek-a-boo tactics to make the most of the lowish pen and accuracy, but decent DPM. Treat this tank like a buffed tier I tank, with more speed, better armor, but the same guns as the LTraktor, minus the 37mm. 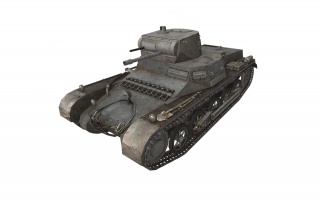 With a few games you should soon be able to get to its next upgrade: the Pz 1C. Both 2cm KwK 38 L/55 and Breda carry over from Leichttraktor. Mount your choice. Both are Tier-1 guns in this Tier-2 tank so you are still undergunned. The Breda holds 12 rounds in 4 clips and shoots a 3-round burst each trigger click. The 2cm KwK 38 L/55 holds 10 rounds in 5 clips and shoots a 2-round burst each trigger click. Next get the first engine, then tracks for second engine. Good Tier-7 radio gives long range view of battlefield. Jentz, T.L. and H.L. Doyle, 2002, Panzer Tracts - No.1-1 Panzerkampfwagen-I (Kleintractor to Ausführung B), Jentz, Boyds, MD, ISBN:9780970840769. Jentz, T.L. and H.L. Doyle, 2002, Panzer Tracts - No.1-2 Panzerkampfwagen-I (Kleine Panzerbefehlswagen to VK 18.01), Jentz, Boyds, MD, ISBN:9780970840783. Esta página fue modificada por última vez el 25 oct 2016, a las 13:24.